Researchers analyzed 7 similar studies on the effects of egg intake on cardiovascular health. As with earlier studies, including other meta-analyses, they found no clear link between coronary heart disease or cardiovascular disease in general to eating eggs regularly. 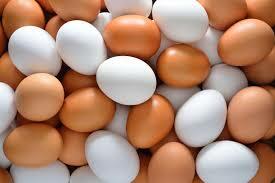 However, the consumption of up to one egg a day was associated with a 12 percent lower risk of stroke. Although the findings are unable to determine why eggs could have this stoke-busting ability, there are some possible explanations, offered lead author Dr. Dominik Alexander, a researcher at the EpidStat Institute in Ann Arbor, Michigan. More research, however, will be needed to tease out which aspects of the egg may be ultimately responsible, Alexander added. Elsewhere, combining eggs with a healthy mix of vegetables has been shown to increase our ability to absorb other antioxidants like carotenoids.